A Space battle in your pocket! 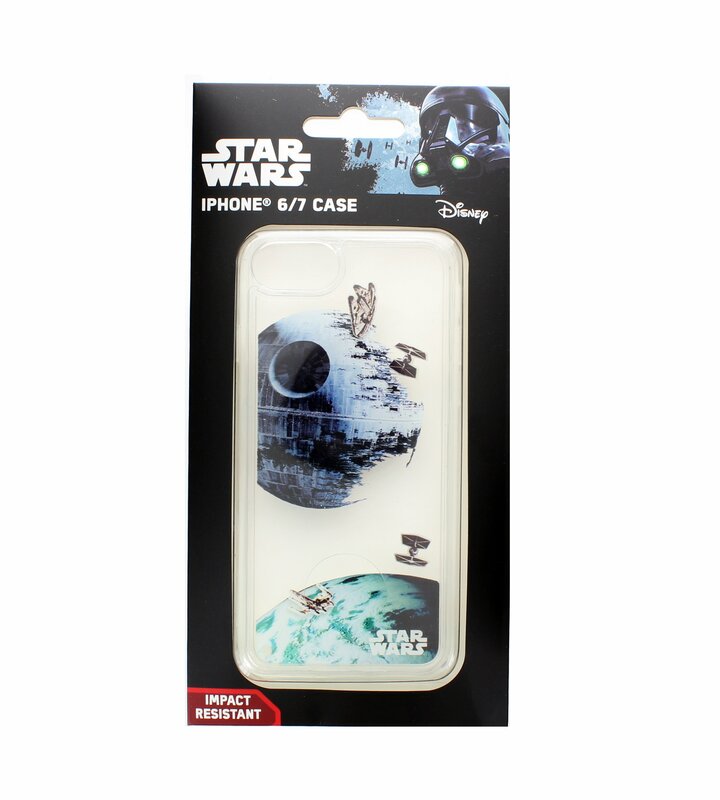 With this iPhone 6/7/8 case Tie fighters swarm around the rebel X-Wing and Millennium Falcon. 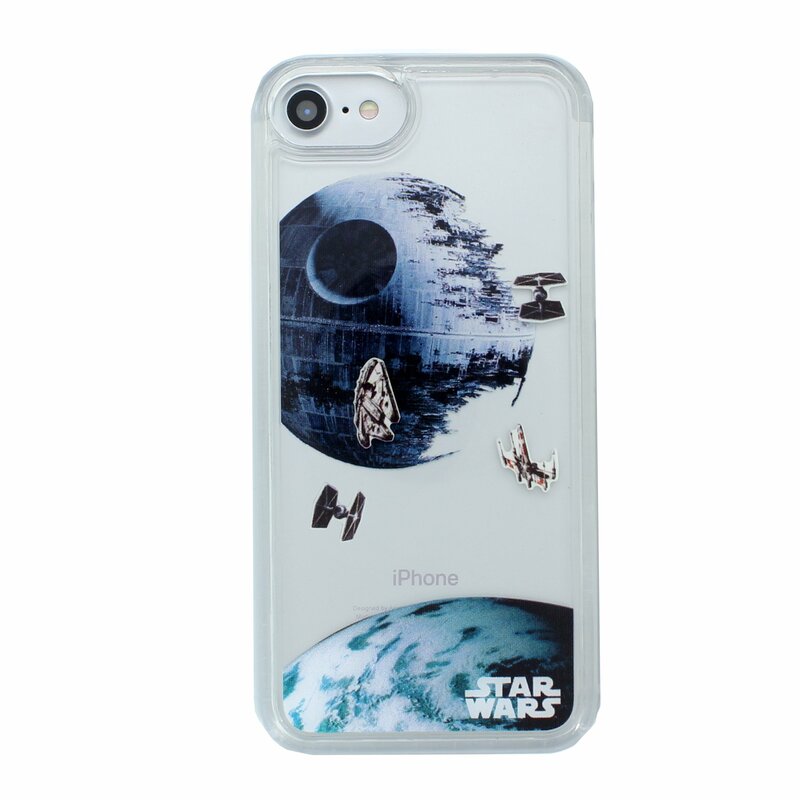 The case is designed to be clear, allowing the iPhone to be seen through the case. Compatible with iPhone 6, 7 and 8.